If you have the fortune of having a garden, we can say that your house has everything. A garden offers a unique landscape to the home. 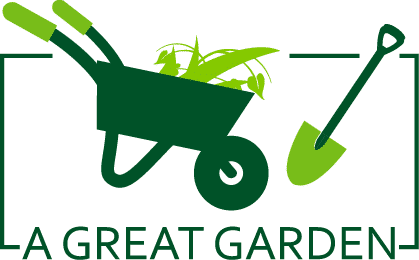 Choosing low maintenance plants that are resistant to changes in temperature and great beauty, you can have an exceptional garden that does not mean a large economic investment or your time. In today’s book, we will present 14 ideas in which you will discover the benefits of plants and inspire you to get down to work. If your garden already has a carpet of grass, you can develop on it a beautiful landscape, for example placing stones of different shades. 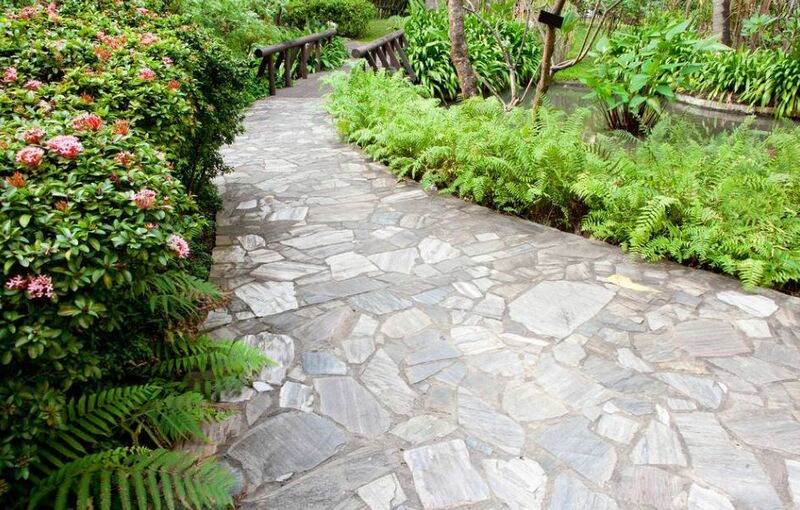 In this project, we can see that the white stone, slate, red stone and dark river stone, have formed a path that leads the way towards the flowerpots. 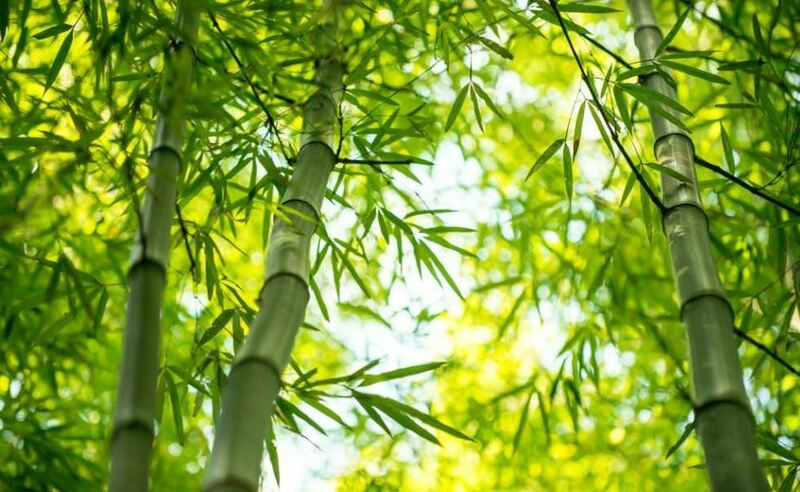 Bamboo belongs to a subfamily of perennial grasses, with around 280 species. It is a plant that grows very well in tropical climates although some species resist cold climates. It is one of the plants most appreciated by man for its great beauty and the great benefits it brings to the ecosystem. In this project, bamboo canes have been placed to cover part of the wall surface, delimiting the space and creating a corner with personality. 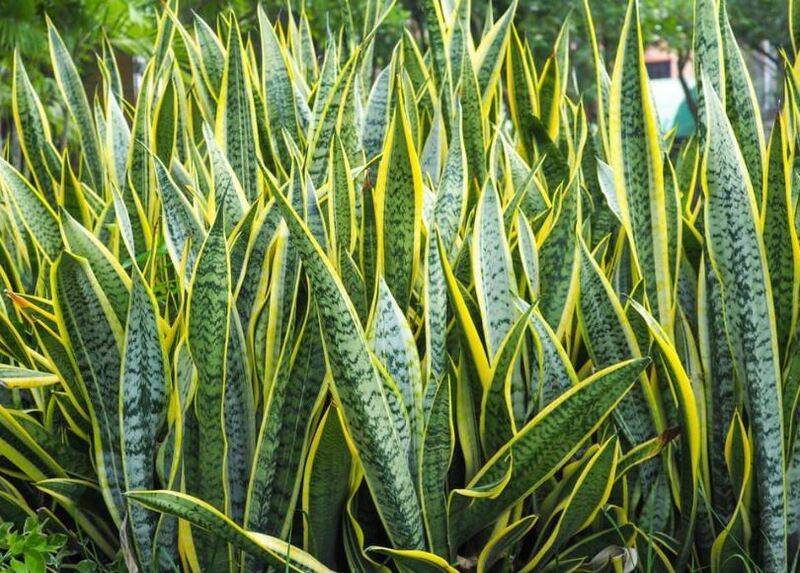 In the corner of this small garden, we can see a copy of the sword of St. George, also known as sansevieria or tiger tongue. This plant is long blade similar to a sword, with a cross pattern of dark green. 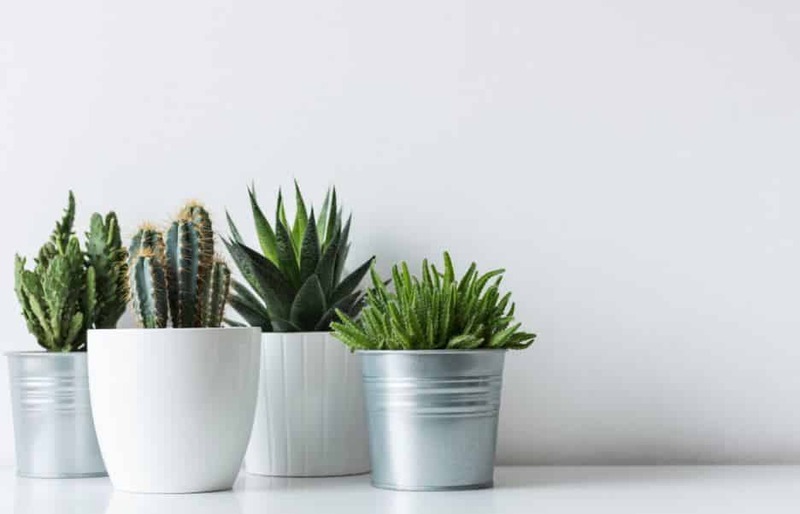 These plants are perfect for both indoor and outdoor, as they do not require much space to grow and adapt to the climate, they also help to purify the environment. Cacti are plants with thorns and thick skin, ideal for dry and warm climates. In this garden, a species known as the Silver Torch has been placed. It grows quickly and blooms in the spring and summer. This cactus supports temperatures of minus 0º. Its column shape makes it imposing. 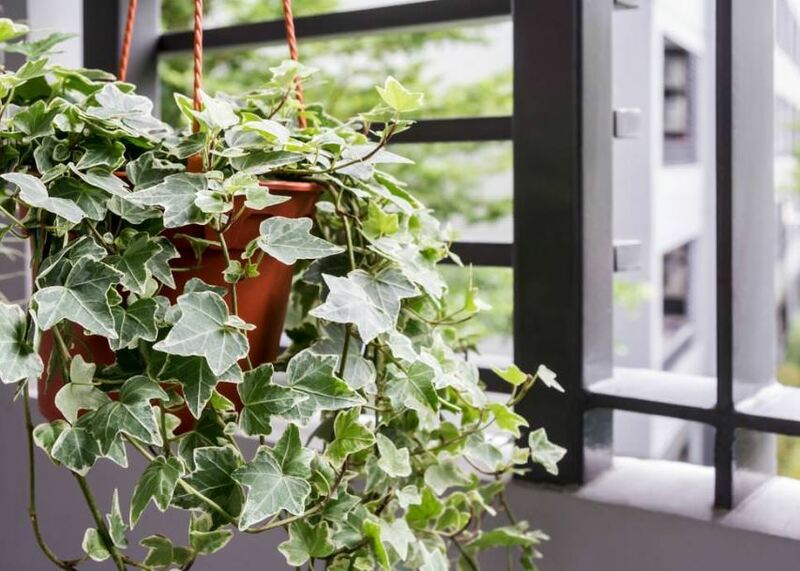 Ivy is a plant that adapts with great ease to different types of earth and climates. It is very decorative, especially to bring life to the walls because they have an abundant foliage and can measure up to 30 meters high. For it to reach its maximum splendor, it must grow in the shade. An interesting fact is that ivy has medicinal properties and is used in the cosmetic industry. 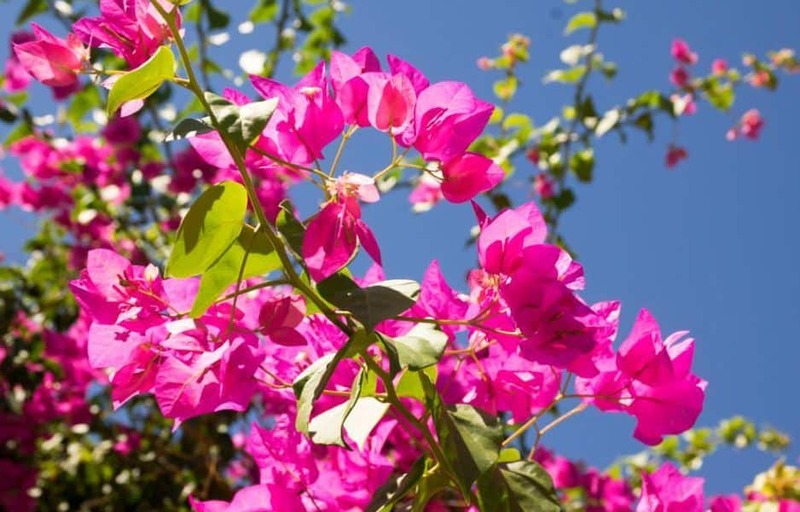 The bougainvillea or trinitarian is a tropical and climbing plant, reaches a meter in height and paints with its yellow, pink and magenta colors each spring. For this, the bougainvillea is perfect for decorating the gardens. It can be planted in pots or on the ground, resting on a wall or a pergola so that the plant gets tangled in the structure. Highlighting a specific point of the garden is ideal. 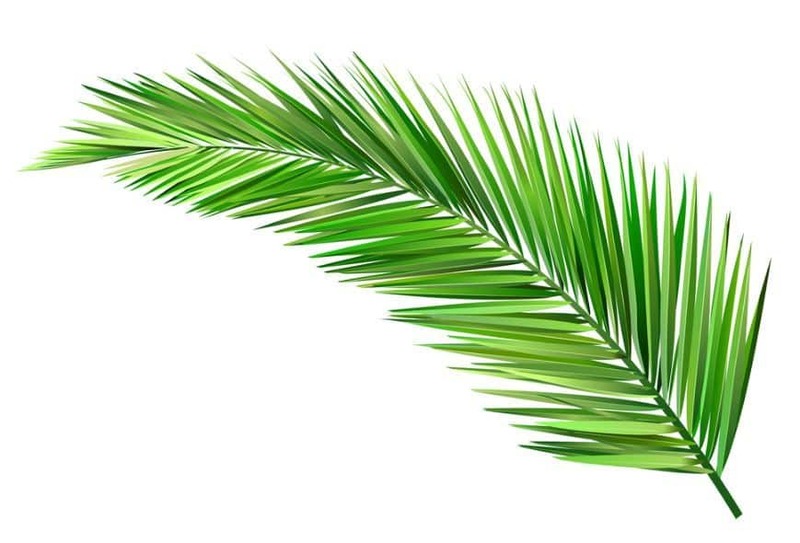 Palm trees are the tropical plant par excellence; their leaves are large, so they are considered exotic. In this image, we can appreciate one of the species known as Palm Jelly. It has very long and arched leaves and can reach a height of 6 meters. 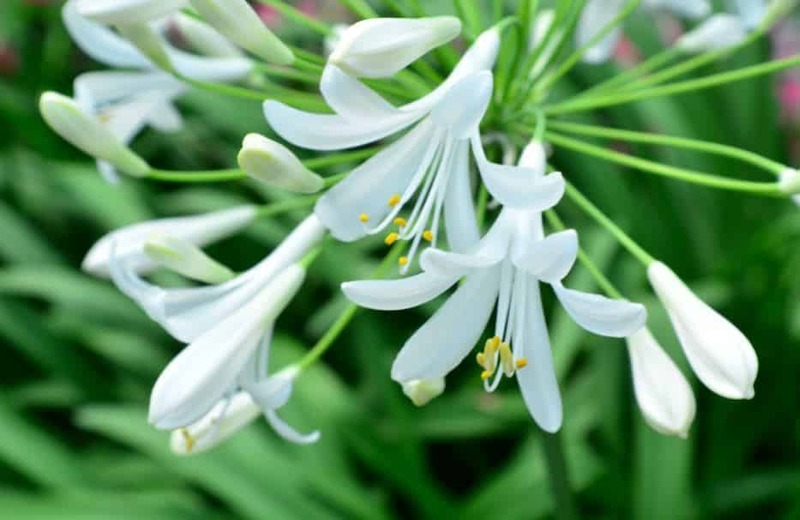 When it is a young plant, it can remain inside the home, and in the gardens, it is used to create shaded areas. 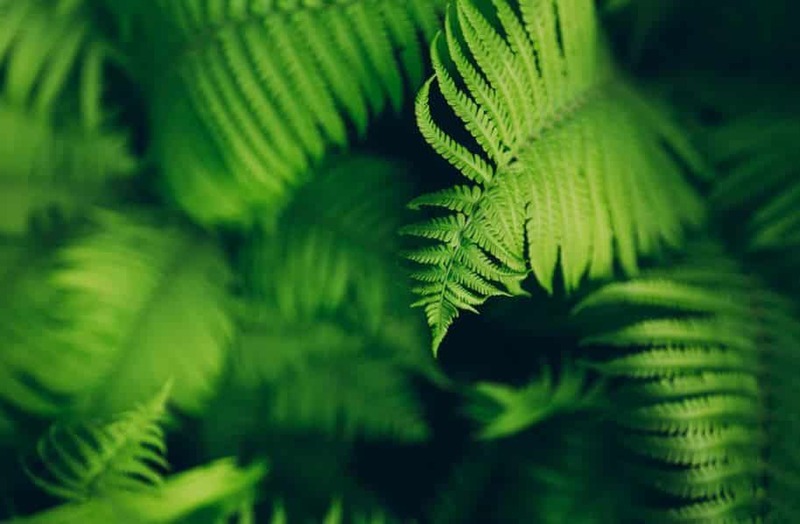 Originating from tropical climates, the ferns have no flowers or seeds, so they need a good amount of water to complete their biological cycle. They can be grown both outdoors and indoors. There are several species of ferns, but in the image, we can appreciate the one known as Cuerno de goat. Ferns do not live well in extreme climates, (neither too hot nor too cold). We must ensure that they have a shadow area if they are outside. The trees offer a very elegant decoration to the gardens, their great height and the luxuriance of their branches; they contribute without a doubt a beautiful landscape. For a garden with a delicate aromatic touch, fruit trees are a great option. 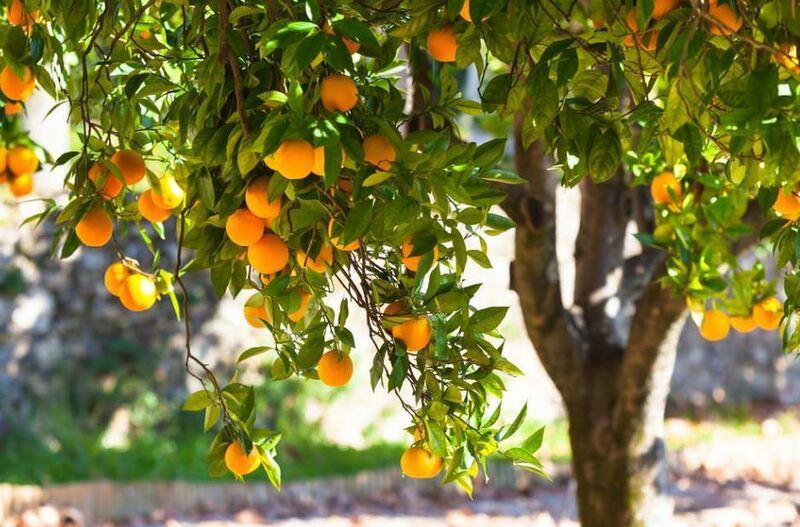 Tangerines, lemons, and oranges will look spectacular in your space. You can plant dwarf trees, which grow to 2.5 m in diameter; They can be grown in small spaces as in a pot and do not require as much maintenance as traditional fruit trees. The agapanto, also known as Flor del Amor, is a perennial plant that offers very decorative foliage throughout the year. It is a very resistant plant, which occurs perfectly in pots or planters. Although it resists pests well, you must take care that the snails are not raised. 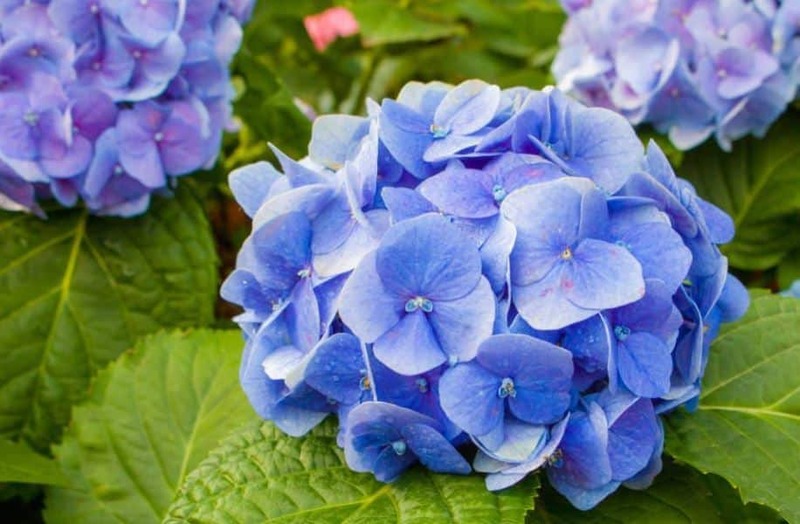 There are about 500 species of hydrangeas; they are easy to grow and maintain offering their beautiful blue, pink and white flowers during the summer. You can plant them in the fall, where they have a little shade. 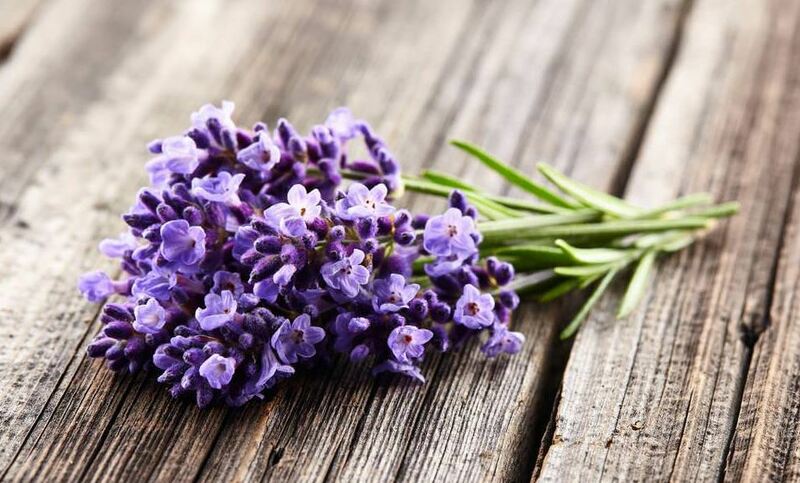 Lavender is a perennial shrub that has around 60 different species. It is easily identified, thanks to its characteristic purple color and aroma. Lavender grows well in both hot and dry climates, needing the same care: adequate soil and sunlight for at least 6 hours. It can be planted in pots and directly on the ground. Lavender has been used as a medicinal plant for many years, in a garden, it is ideal because it has relaxing properties. Similar to trees, they are characterized by having a lower height. They can always remain green, and in the design of a garden, they are perfect to cover the ground adding color and texture. 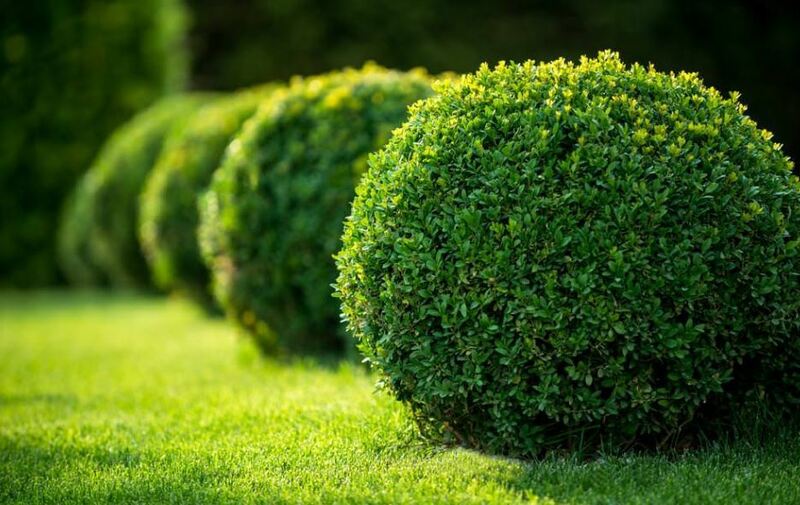 The bushes are perfect for delimiting different areas of the garden, as well as isolating the outside noise and protecting other plants or delicate flowers from the wind. 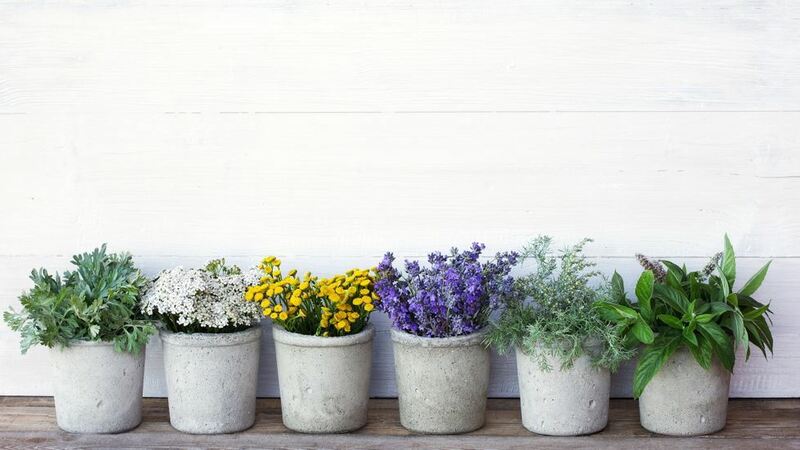 For a small and low maintenance garden, you can have aromatic plants that, in addition to perfuming the environment, will serve to prepare meals. The most popular herbs are basil, rosemary, mint. They are ideal for those who start in gardening. To grow healthy and beautiful should be located at a point where they receive a lot of light.